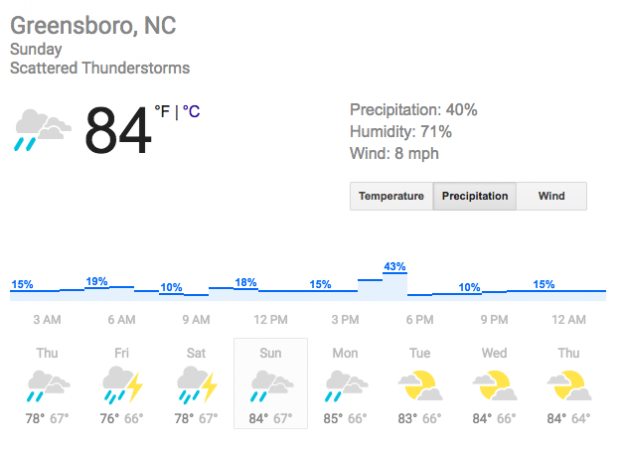 Coaches & Athletic Directors have been informed that the NCHSAA 1A & 3A State Championships have been postponed to Sunday due to incoming weather. Word is the meet will have an 11 AM start. We will update this story as information becomes available. 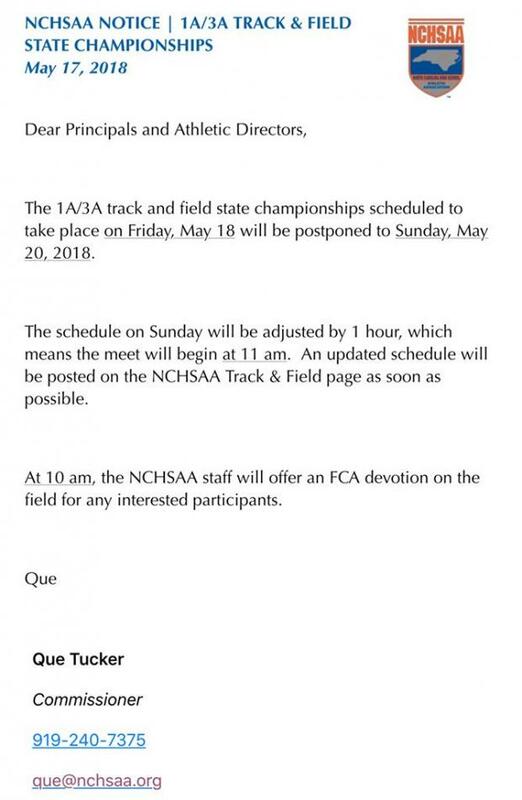 There is no word on the NCHSAA 2A/4A State Championship scheduled for Saturday. The weather looks the same for Saturday as it does tomorrow. Rain is also projected for Sunday, though not as bad, and Monday if the 2A/4A Championships is postponed as well. 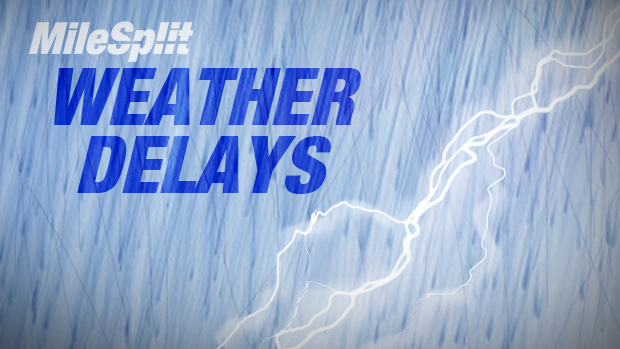 "It is always difficult to decide to postpone or delay a State Championship event. However, with inclement weather in the forecast for much of the day on Friday, it became apparent that this decision is in the best interest of the 1A and 3A student-athletes who have worked so hard to reach this year's State Championship meet." The 3A state championships have been moved to Sunday due to potentially inclement weather. State Championship for 1A/3A has been moved to SUNDAY and schedule has been moved up an hour. Gates open at 9:00am and Meet starts at 11:00pm.